Interests: Riding my Harley, hunting, beards, doing anything on the water. 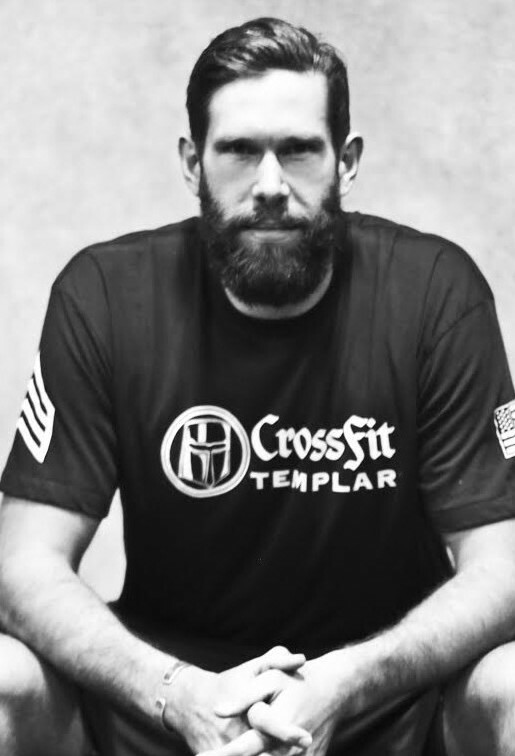 Coaching Philosophy: I first came to Crossfit Templar a couple months after I got out of the army in 2011. The first WOD I did destroyed me and I was hooked! I like how versatile it is. You have young, old, beginners, and tremendous athletes all working out together. After leaving the military I missed the camaraderie, and I found it in Crossfit. It makes for such a fun environment to workout in that you want to keep coming back to. I like that what you put into it is what you get out of it. Most of the time our minds quit on us before our bodies do. So, as a coach I like to motivate the athletes to safely push farther every time they come in. To keep moving until the buzzer and to finish strong!